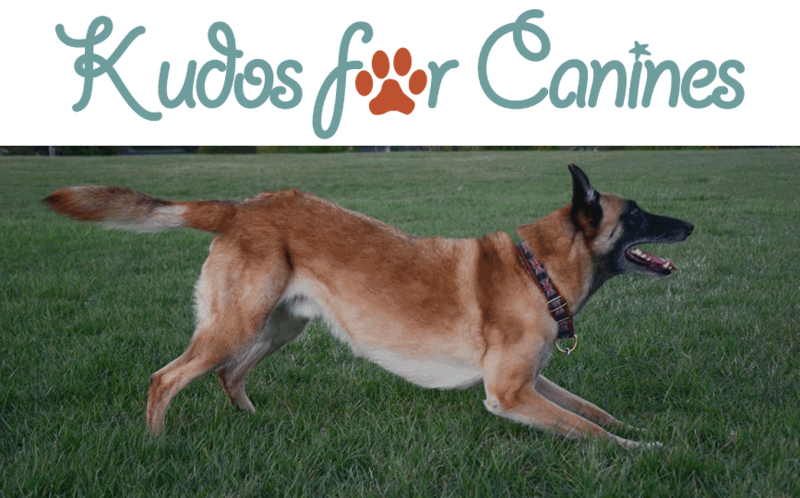 Kudos for Canines is thrilled to announce our BRAND NEW Nose Work Style classes available beginning April 2015! Scent games are a great opportunity to play with your dog and see them working a sport that comes naturally to them! Dogs are known for their keen sense of smell. According to a paper from Alabama & A&M Universities cooperative extension program, dogs have more than 220 million olfactory receptors, while humans have around 5 million*. Incredible! There are even current medical studies ongoing to discover ways in which a dogs keen sense of smell could help detect certain types of diseases. In our scent games class, your dog will be introduced to a game that will work their minds as well as their bodies. You will learn how to read your dog’s body language and the homework will challenge your imagination! During our initial class your dog will learn to search for food treats in a variety of environments ranging from easy to quite challenging. In later classes we will switch the odor they search for to a specific scented oil (Birch, aka Betula Lenta). Classes will be held beginning Tuesday April 7th, 2015 at 6:00 pm and 7:30 pm. Each class has an absolute maximum of 6 dogs. Classes will run 1 hour long each Tuesday evening for 6 weeks in length. More information and class registration will be available online very soon!